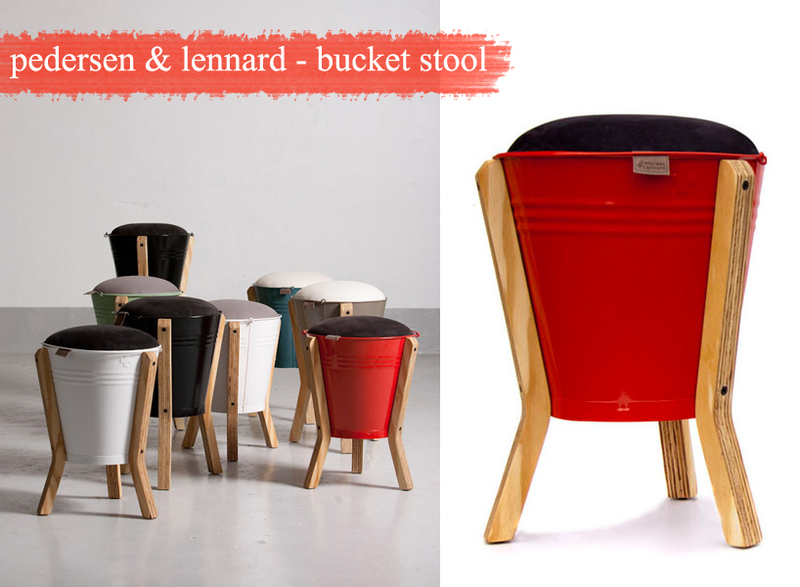 The Bucket Stool by Pedersen & Lennard caused quite a stir at last year’s Design Indaba. In some way, this out-of-the-box concept ushered in a season of South African design free from traditional constraints of what design should look like and what construction materials should be. Pedersen & Lennard recently released a refined version of this sleek signature piece – now in even more trendy colours. The stool also doubles up as a storage unit or ice bucket once the upholstered seat is removed. These awesome stools, made from old and used tyres, are seriously brilliant. 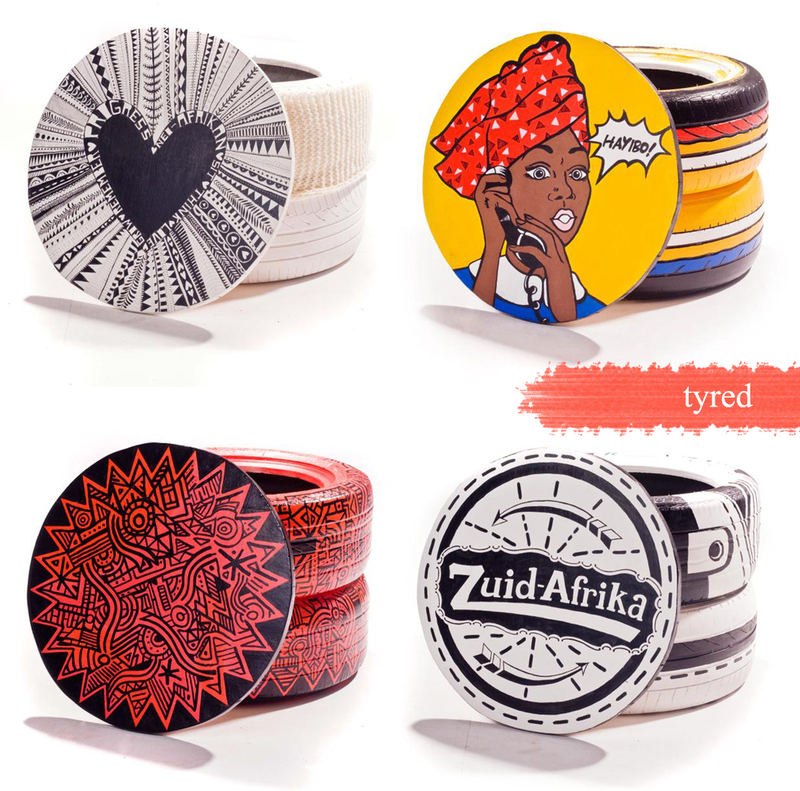 The brainchild of Sean Smith, Tyred not only cleans up the environment by recycling discarded tyres, but also plays a part in job creation as Sean employs local men and families. 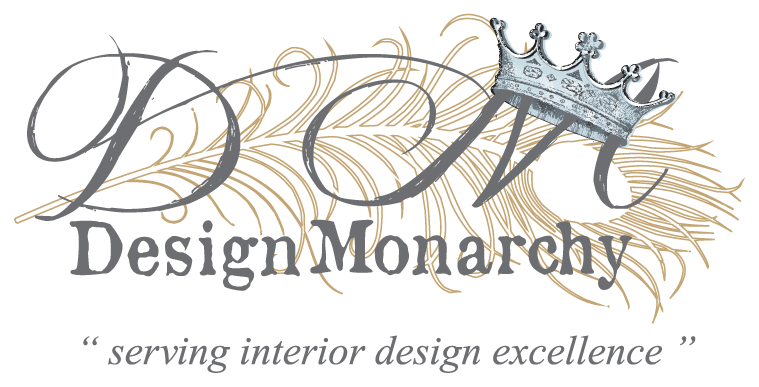 Pictured above, is the custom designed range, featuring the designs of local designers and artists. What makes it all the more amazing – almost half of the profits go to their chosen charity, Men on the Side of the Road, and the rest to the designers and production. 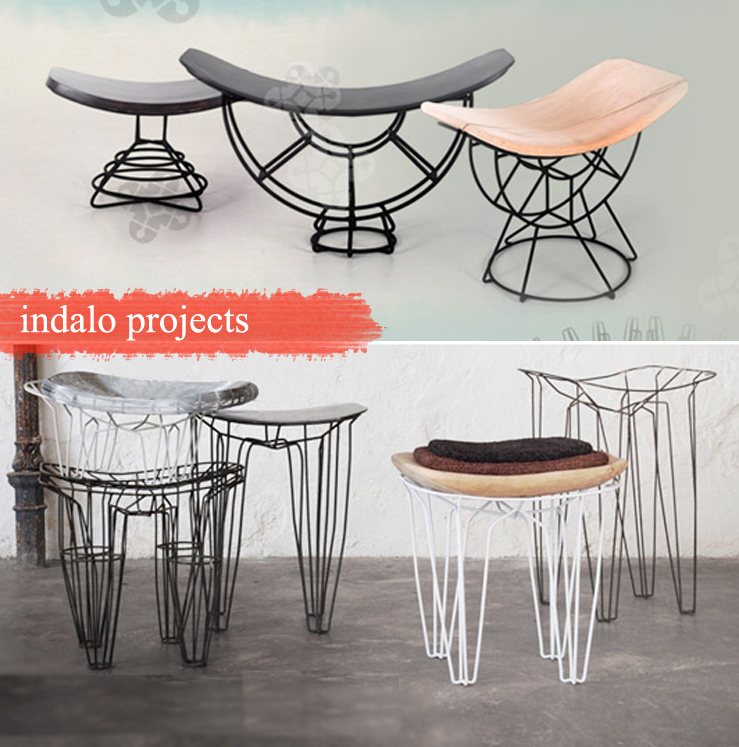 Indalo, a non-profit organization that connects professional designers with local craft producers hopes to change lives through original and sophisticated design. Nicci Drzewicki’s iSITho collection inspired by traditional African furniture, such as headrests and seats, now beautifully crafted from wire with timber seats, will look smashing in any contemporary interior. By now, you all must be familiar with Katie Thompson from Recreate who takes unwanted junk and turn them into quirky treasures. 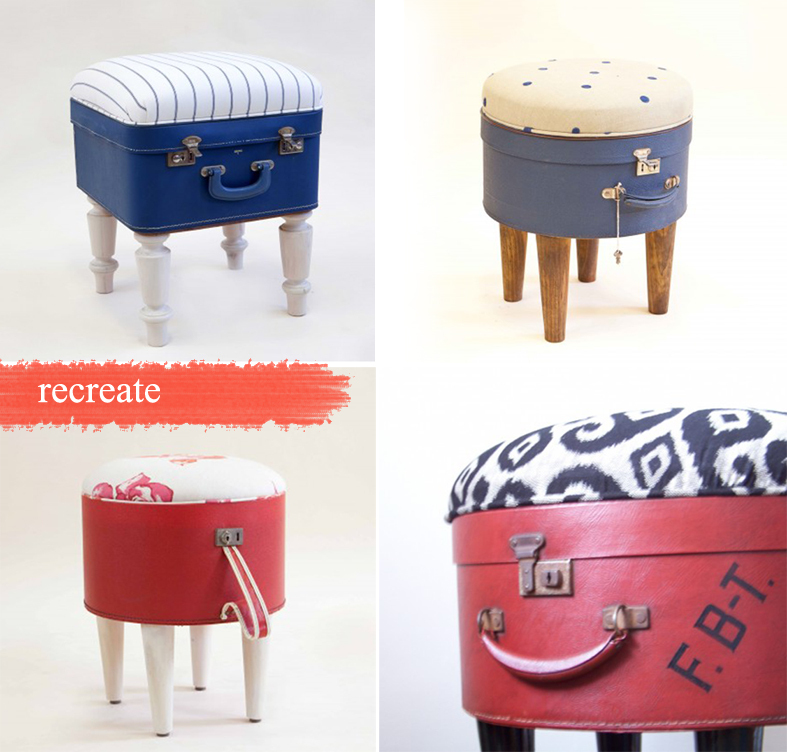 I just love these hatbox and retro suitcase ottomans – adorable! Also featured on Recreate’s website, these wacky stools made from old buckets and a deep-buttoned ottoman made from a rusty galvanized tub. 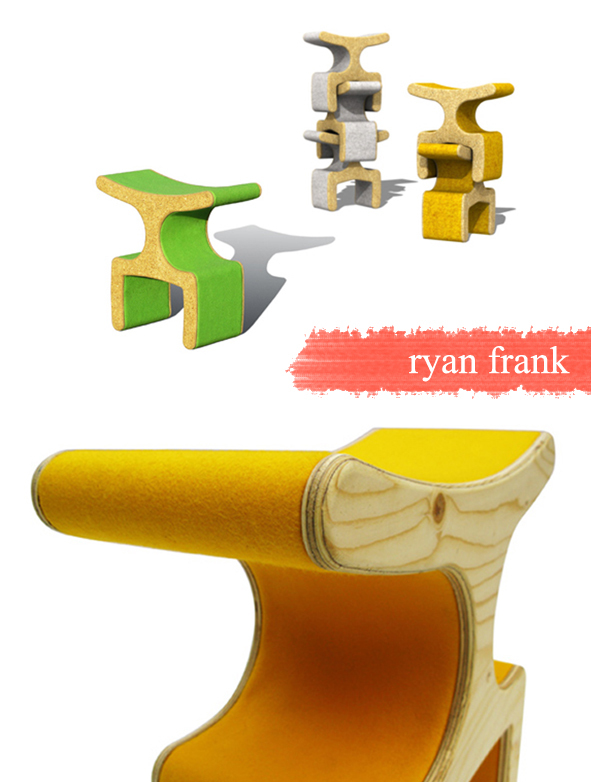 Isabella is a totem style stacking designed by South African born, Ryan Frank. Drawing inspiration from traditional hand carved African seating the stools are made from layers of Strawboard. Avoiding the use of exotic hardwood the stools are made from a solid section of Strawboard or Spruce Ply and then wrapped in 100% wool felt. Made form sustainable materials the stools come in a range of bold colours and finishes. Willard Musarurwa started making his wire furniture in the township where he lived, making a meagre income. 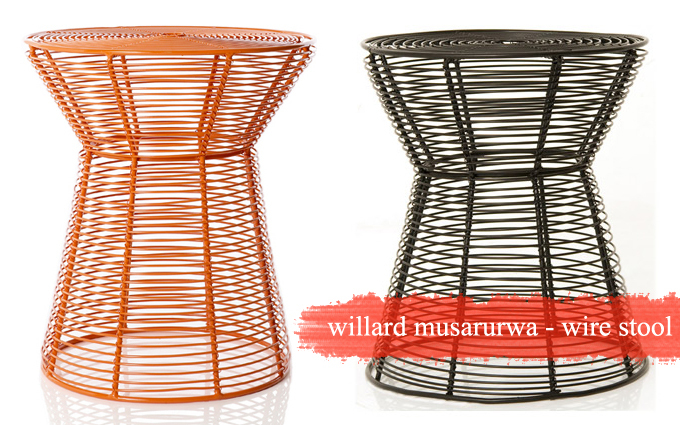 With the help of Stephen Burks from Aid to Artisans (through Cape Crafts and Design Institute) they designed the celebrated wire stool and table which is now available from Weylandts and Willard’s company, African Feeling. I have to say, what I appreciate about all these products is that all of them, in some way or another, promote sustainable design and job creation, which is genuinely commendable. Images & Info via designer’s websites. Ok – this is how I see these in my home ( right now also in my dreams) – the bucket and the tyres on my patio; the suitcase stools in the bedrooms and then the metal tub under the tree in the corner of the garden. Damn, but these are so good. Hi and thanks for making the effort to explain the terminlogy for the starters! These are fantastic, especially the bucket stool. The hatbox ottomans are adorable!! !